An outstanding new range of first chapter books that helps children build their reading stamina and progress towards longer books. 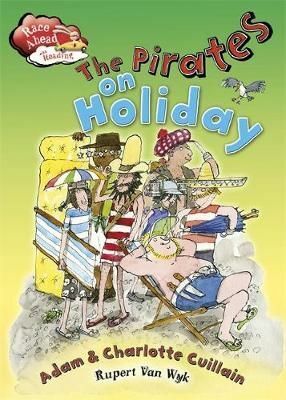 The Plankton Pirates have been so busy working that they need a holiday! Bored of the tropical paradise, they turn to the Windy View Caravan Park as their perfect place to unwind. But will they really fit in? Race Ahead with Reading is the perfect introduction to reading chapters with brand new page turning reads in five short bite size chapters, to encourage children to take the driving seat with their reading.